Summer season is around the corner. Time to start getting that wardrobe ready. Here is a cute little addition for baby’s layette. These baby hikers can be made in any color and added to any outfit for just the right touch! -Watch the FULL introduction of the video tutorial for frequently asked questions and watch the full video for tips on how to make this smaller or bigger. -These booties will fit up to a 6 month old baby. Rnd 3: Sc in next 2 stitches, 2 sc in next. Sc10, 2sc in next 2 stitches, sc in next 6, 2 sc in next 2 stitches. Sc 10, 2sc in next. Sc in last 2 stitches. Sl st to next st (42 sts) Fasten off, Weave in ends. Same as Inner sole, but DO NOT fasten off. Go to Assembly Step Next. Fasten off with a long tail for sewing. Row 1: Ch 1, HDC in 4 sts leaving the rest unworked, Ch 1, turn. Rows 2-6: HDC across, Ch 1, turn. Do the same exact thing as the first side strap, just on the opposite side. Add Strap 3 and sew the front toe piece and side strap piece down OVER the top of Strap 3. I show exact locations and visual instructions for this section in the video tutorial. Add a button to Strap 3. I have a sweet, brand new niece to crochet things for! Congratulations to my brother and sister-in-law!! ❤️ Girl things, boy things, we have it all covered in this family! Check out the tutorial for these super simple booties and make bunches of them today!! You may sell items made from my pattern, but please reference my website YARNutopia.com. -To make this smaller or bigger, use a smaller or bigger hook size. I do not have stitch counts to make these larger or smaller though. Sorry!! Change color every other row if you want the toe to be striped–the video tutorial shows how to change color. Fold toe over to the other side and sew up to halfway of the first piece. Fold the cuff down and tack it down if you’d like. I love making patterns that are two-for-one special deals. My Two-Toned Cable Boot Cuffs make the perfect combination of two fun fashion accessories in one fabulous pattern!! Wear one way to match your outfit today and flip them over to match a different outfit you are wearing tomorrow! You can’t beat that! There are tips in the video tutorial for making these in any size! They make great stocking stuffers!! -Watch the FULL introduction of the video tutorial for frequently asked questions and watch the full video for tips on how to make these smaller or bigger. -The written pattern is for a calf size that measures 12 inches around. You can chain any multiple of 6 to fit around your own leg. -This project uses less than 100 yards of yarn total. Rnd 14: Ch up 1, SC in each st around, sl st to first st. (36) Change color after this round. Rnd 15: With Color 2 (Berry), Ch up 1, SC in each st around, sl st to first st.
Rnd 29: Ch up 1, SC in each st around, Sl st to first st. I love to be warm and cozy during the cold winter months. I love chunky blankets, over-sized sweaters and soft, comfy slippers. My Winter Chic Slippers are one way to keep toasty while you curl up on the couch with your crochet or a good book on these longer nights. Thick and warm, made with Marly Bird’s Chic Sheep Yarn in beautiful fall colors, these slippers are great to add to your winter wardrobe. Make these in any combination of colors!! With the holidays right around the corner, red, green, and white slippers would be perfect for kids on Christmas morning! In my video tutorial, I explain how to make these in all different sizes! -The written pattern is for a size 7.5/8 US Women’s Size Shoe. You can adjust the size for measurements. -Use 2 strands of yarn at the same time throughout the whole pattern. -This project uses 860 yards of yarn total. 5DC Cluster: [YO, Insert hook, YO, pull through, YO, Pull through 2 loops] 5 times, YO pull through all 6 loops on the hook. Cluster made. (WS) Row 2: Ch up 3 (counts as first DC), 5DC Cluster in very next st, Ch 1, sk 1, *5 DC cluster in next st, Ch 1, sk 1, Repeat from * across, end with DC in last st, fasten off with long tail for sewing and change color. Turn. Flip Right side OUT and go on to making the top cuff. Attach your main color yarn (Suede) on the back by the seam on the last stitch of the last row on the leg piece. Rnd 3: CH up 2 (does not count as anything), *FPDC on next st, BPDC on next st, repeat from * around, sl st to first FPDC. You can continue repeating round 3 if you want your cuff to be longer. If you are happy with this height, fasten off, weave in ends. Set this piece aside and go on to making the sole. Fasten off. Weave in all ends. If you need to make less rows if your feet are smaller or more rows to make it longer, you can continue until you are satisfied with the length, then go onto the instructions for dividing the leg opening. Fasten off. Weave in ends. Turn Right Side Out when you are done sewing the pieces together. SC 35 sts evenly around ankle, Fasten off with long tail for sewing. Sew Cuff to foot ankle part INSIDE OUT. See end of video tutorial for visual instructions. Make another one to complete the pair! These are another addition to my Exotic Animal Baby Booties Series. I’m not “lion” when I say, you will have people “roaring” with compliments over these Little Lion Booties! Make a pair for your tiny “mane” man or “purr-fect” little princess. Take “pride” in making these as a gift for someone you love! These booties can be adjusted to make teddy bears by removing the mane and the tail, or with some creative ingenuity, you can turn them into other fun zoo animals!! Enjoy!! -This project uses less than 100 yards of yarn. -Watch the FULL video tutorial for visual instructions for each row and tips on how to make this smaller and bigger. -Weave in all the ends as you go so you don’t have to weave them all in at the very end. -If the instructions above are confusing, please message me on Facebook, and I will answer any questions you may have. Please be specific in your questions. Thank you!! -Use a basic Slipper or Bootie pattern in any size and then follow along with the embellishments of this pattern to make these in any size. I do not have stitch counts for larger sizes in this pattern. -I found a great pattern by HodgePodge Crochet for adult sizes on the slipper! Find it here! Then follow along with the Embellishments of my pattern for the lion design! Rnd 3: 2 SC in first 2 sts, SC in next 4 sts, 2 SC in next 2 sts, SC in last 4 sts, sl st to first SC. Embroider nose, mouth, whisker dots on Nose/Mouth Piece. You can add whiskers too if you want! See video tutorial for visual instructions. Rnds 3-4: SC in each st around. Add a little tick of Black in the eye with Black yarn. Sew ears and eyes to booties. Weave in any loose ends. After you attach the eyes, make the MANE!! Crochet loops on round 1 of the tail. See video tutorial on how to make the loops. Like these booties?? Try the Elephant Booties!! You can buy any of the items in this kit. Buy all or buy one item. Check it out to see the supplies you can get online to make these booties! -I found a great pattern by HodgePodge Crochet for adult sizes on the slipper! Find it here! Then follow along with the Embellishments of my pattern for the elephant design! Pull long strand through trunk to the bottom and pull a little bit inward. Then sew it to the bootie. See video tutorial for visual instructions. SC around the entire piece. Stuff the tusks and sew them to the booties, then sew the eye patch pieces over the tusks on each side of the booties. Add a little tick of white in the eye with white yarn. Like these booties? Try the Flamingo Feet Baby Booties here! Whale, Whale, Whale, what do we have here??! Recently, a catalog arrived in my mailbox with a unique selection of gift items for all ages. In typical fashion, I often find myself thinking about how to make similar items using crochet. I fell in love with these darling booties that were similarly made out of fabric and set out to create a crochet pair designed only using yarn! We all derive inspiration from various sources, but it isn’t always possible to recreate each design substituting yarn as fiber of choice but thankfully, this adorable pair of booties turned out to be quite the exception! I hope you enjoy making your very own for a special infant. I give tips for increasing the sizing for any age in the video tutorial. -This project uses less than 200 yards of yarn. Fasten off with super long tail for sewing. Row 1: Sl st in 2nd ch from hook, SC in next 2 chs, HDC in next 2 chs, DC in next 10 chs, HDC in next 2 chs, SC in next 2 chs, Sl st in last ch. Fasten off. Weave in ends. in next, HDC in next, DC in next, TR in next, DC in next, HDC in next, SC in next, Sl st in last. Fasten off with long tail for sewing. You can’t go wrong with this ensemble!! Perfect for any baby on your gift giving list or any special baby event! Change up the colors for a boy or a girl! There’s definitely something to love in this set! These pieces can be made any time of year! Make one or make all four pieces below. Click the links or the photos to be redirected to their written patterns and video tutorials. 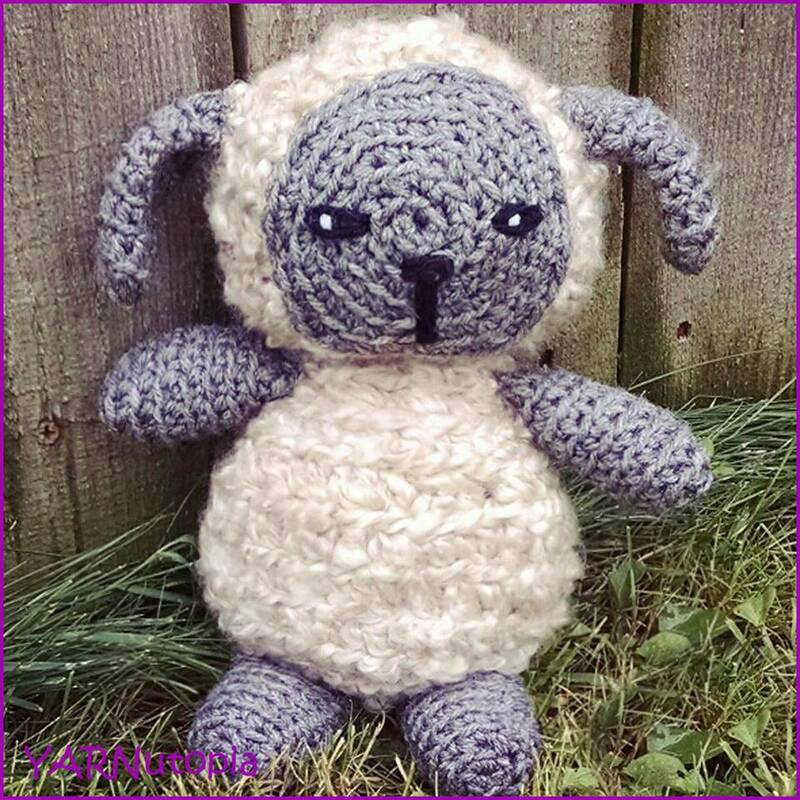 All crochet patterns in this post are FREE! See below how beautiful all four pieces look together! Expanding my video tutorial library, I continue to explore designing patterns using the Entrelac Stitch. I have these Harlequin Legwarmers for you to try! These are so much fun to wear! Especially with stiletto heels! But don’t just stop there! Perfect for short boots, shoes, or bare feet during your yoga class, these tubular stockings are a sure way to bring up your fashion game! Change the colors for your favorite team, monochromatic two tones, or a splash of rainbow, any color combination will work! Think outside the box and use this design for a harlequin costume as well! You will have this stitch mastered in no time and your creativity will be out of this world! -You can adjust the size for measurements. After taking a little break from filming, I was back in the studio to film these amazing Mukluk style slippers I recently designed. Using the Entrelac Stitch on these comfy footwear, my Tutti Frutti Crochet Slippers are perfect for getting cozy and curling up on a cold night! This week we will explore using Tunisian Entrelec Stitch Crochet. This gives an introduction to this new design with the first project that I designed using Entrelac Stitch. This is a great project to try something new! The Tutti Frutti Crochet Slippers are a fun project using a splash of color on the cuff and toe, you can add some fun to our slippers using our favorite team colors, rainbow colors, or your favorite combination of multiple colors. You can adjust the size of your slippers to fit any adult!! These make a great gift!! SC 30 sts evenly around ankle. Sew Cuff to foot ankle part. These 2-in-1 pair of Festive Pom Boot Cuffs are your next Christmas gift giving project. What a great crochet idea that works up so fast! You’ll be amazed at how easy this project will be. These boot cuffs can be worn rolled over the boot top for a casual and cute option OR wear them up to reveal the scallops and front post stitch design as a more dressy yet sassy look as this goes higher on the leg. These are REVERSIBLE to give you two great looks in one fantastic gift! Can’t ask for more! -To make these bigger, chain an even number for your foundation chain and you can make these as big as you want. -Make more or less rows to make these shorter or longer. Rnd 17: Ch 1, turn work around (looking at inside of boot cuff), SC in same st where you sl st’d, *sk 1 st, shell in the next, sk 1 st, sc in next, repeat from * around, sl st to 1st sc. Fasten off, Weave in all ends. Make 4 poms and 2 chains of 40. See video tutorial on how to attach the poms and make bows. It doesn’t take a lot of money to dress a baby up like a little fashionista! Just a hook, some yarn, and of course, some ribbon to make these trendy Holly-Day Booties! There is plenty of time for these to be made before Christmas and find their way under someone’s tree this holly-day season! Make your princess a pair of these adorable booties today!! It’s perfect in time for the cold season. These booties will dress up any holiday outfit and will stun so many when they find out they were handmade!! The pattern shown in the video is a very simplistic pattern that you can make in an afternoon. This is not difficult at all! It would be great for any crocheter!! -I do not have different sizes for these booties. You can make them bigger or smaller by using a bigger or smaller crochet hook. SC around entire back (See video tutorial for visual instructions) Fasten off, weave in ends. Row 1: SC in each st across row 5. Row 2: Ch 3, turn, *sk 2 sts, sl st in next, ch 3, repeat from * across. Fasten off, weave in all ends. Cut Felt into leaf designs and attach them using French Knots with Burgundy yarn to your booties for embellishments. This blog is compiled to show the costumes I made for Nate and myself. You can find them all in one place rather than navigating through my blog to find each individual pattern. Here, I have them all in one spot for your convenience. You can click the links in the paragraphs before the photos or you can simply click the photos to view the video tutorials and written patterns for each individual piece for these costumes. We start with the Beast Hat. It’s perfect not only for a costume (although, I will warn you, it is very warm, and won’t last long in a crowd of people), but also for cold days! It’s an easily adaptable and versatile pattern by changing colors and embellishments to make any animal-istic creature that you fancy! Second, you will find the Beast Gloves here. With some simple modifications, you can take these very scary beast gloves and turn them into an easy pair of hand-warmers, just by omitting the finger portion of the pattern. These were made to enhance the crochet costume. Have fun with it! Next up, by making a very simple chain, I was able to create this embroidery embellishment detail that I sewed onto the costume jacket. I first traced out the design in a chalk pencil, chained the length needed for each scroll design and sewed it on using a yarn needle. I added some lace and just pinned it inside the sleeves and on the collar. For the Princess costume, I created the shirt here. This is one of two pieces for the dress ensemble. I added tulle and embellished the outfit with medium sized flower roses that I used in my Floral Dream Crown tutorial. The Princess Costume Skirt was the second piece I crocheted for this ensemble. As you will see in the pattern, you can make this as big or as small as you want it to be. This can modified to be made in a variety of princess dresses by changing colors or adding different embellishments. Lastly, I added the Enchanted Rose Cape that can be found here as a finishing touch to this princess costume. This cape can also be modified into a poncho or a bridal cape. Here are the photos of us together in our costumes! Photos do not lead to any patterns. These adorable Little Gentleman Baby Booties are part of the baby boy layette set. Your little guy will be taking off in these in no time! Vroom, Vroom! Rnd 2: 2HDC in next 2 sts, HDC in next 10 sts, 2DC in next 6 sts, HDC in next 10 sts, 2 HDC in each of the last 2 sts. (40 sts), move up st marker. Round 2 will be worked in the slip sts from round 1. Ch 18, DC in 3rd ch from hook and across. (16) Fasten off with long tail. Sew to bootie using photo/video tutorial for guide. Sew buttons on each side. In the second part of all things baby week, I bring you the Mini Square Baby Shoes! In keeping with the Granny Square theme (See 365 Days of Granny Squares project), I’ve created these cute little shoes that are the sweetest touch to this layette. Continue to follow this series as I will be making a dress, and a security blanket lovey next. ***You can always contact me via Facebook if you have any problems with the pattern. I am happy to help if you have any questions along the way. -This pattern is written for an infant. This will fit a baby that is 3-6 months old. Use a smaller hook to make it smaller or a larger hook to make it bigger. Rnd 1: Work 2 dc in 4th ch from hook, ch 2, work (3 dc in same ch sp, ch 2) 3 times; join with a sl st in top of ch 3. Fasten off. Rnd 2: Ch 2, HDC in each st around. Fasten off, Weave in ends. Turn shoe inside out, sew bottom hole closed. Sometimes I see a photo and consider what it would take to design something into a crochet pattern based on just that-a photo. That is what inspired these floral pastel knee-socks. I was sent the same photo of a pair of knit socks numerous times, and realized that once again, I would need to challenge myself to see what I could do by taking that knit sock concept from a single picture and translate it into crochet. I have to admit this was not an easy task. First, socks are not easy to begin with. That alone had me hesitating, but knowing myself and how, once faced with a challenge, I don’t back down. I decided to just forge ahead and see where this took me and I was not disappointed. As the socks took shape, the more excited I became. It took a total of two full days and a lot of long hours of designing and filming to bring you this tutorial. To be honest, I will say that at one point I saw double and almost pulled my hair out trying to troubleshoot how to make this work, but hopefully I have ironed out all the wrinkles to bring you another tutorial that is easy to follow. I used pastel colors in my pattern but the ideas are endless when it comes to color combinations. I am excited to see your creators choices when making your own pair. These are exceptionally comfortable and fun to wear. In my photos, I have them over a pair of creme color leggings, but around the house these would be so nice to wear with your favorite night shirt or shorts and t-shirt! Have fun creating this fabulous pair of knee-socks! Below you will see a couple photos of my finished work and then the video tutorial. Below the video shows the written pattern for these socks. Happy Hookin’! -Less than 90.5 Yards/82 Meters Of EACH color. -These socks are worked from the top down. -These socks will fit a size 6-9 American Woman’s Shoe Size foot. The video tutorial explains how to make these larger or smaller with very few simple steps. Please watch the entire video tutorial to learn how to do this for other sizes. -To make these smaller or larger, just measure the calf muscle of leg and chain and amount that is a multiple of 6. -The CH 2 or CH 1 at the beginning of each round does NOT count as a stitch. Sl st to the beginning stitch of that round to go onto the next round. -SEW IN YOUR LOOSE ENDS AS YOU GO! YOU WILL THANK YOURSELF LATER. Puff Stitch (PS): Y/O, insert hook into directed stitch, Y/O, pull through, Y/O, Insert hook back into the same stitch, Y/O, Pull through, Y/O, Insert Hook back into same st, Y/O, pull through. (you should have 7 loops on your hook at this point.) Y/O and pull through all loops on hook. Puff stitch made. Cable Stitches: Skip 2 sts, FPDC in next st, FPDC in next st, FPDC in each skipped stitch. (Cables should be worked in this order: 3rd, 4th, 1st, 2nd) Please watch video tutorial to learn how to do the cable stitch. Rnd 13: Repeat Rnd 11 working LSC’s in LSC’s from Rnd 11. Change to pink after this round. Rnd 19: Repeat Round 16, working LSC’s in LSC’s from round 16. Change to Blue after round 19. Rnds 20-21: Repeat Round 10, Change to White after round 21. Rnd 22: Repeat Rnd 16 working LSC’s in LSC’s from Rnd 19. Change to Green after round 22. Rnd 25: Repeat Round 16 working LSC’s in LSC’s from Rnd 22. Rnd 28: Repeat Round 16 working LSC’s in LSC’s from Rnd 25. Rnd 31: Repeat Round 16, working LSC’s in LSC’s from Rnd 28. Sl st to beginning st, ch up 2, change color to Gray after round 31. Rnd 34-35: Repeat Rnd 32. Change to white after round 35. Rnd 36: Repeat Rnd 32, change to Yellow after round 36. Rnd 37: *HDC in 6 sts, PS in next st, Repeat from * around, Sl st to beginning. Change to white. Ch 1. Rnd 51-54: *BPHDC in next 2 sts, FPHDC in next 2 sts, repeat from * around. Change to white after round 54, ch up 1. Rnd 56-59: Repeat Rnd 32. Change to Blue after rnd 59. *You will be working in rows for the next few steps. Watch the video tutorial to learn how to shape the heel. Rnd 77: With the outside of the sock facing you, ch 1, work 13 sc down left side of heel. Place st marker, sc in next 21 sts, place st marker, work 13 sc up right side of heel, 1 sc in each st across heel. sl st to beginning sc. Rnd 78: Ch 1, sc in each st until 2 sc before marker, sc2tog, sc until next marker, sc2tog, sc in the rest of the sts on round, sl st to beginning. Rnds 79-84: Repeat Rnd 78 until there are 42 sts left. Change to Yellow after Rnd 84. Foot part: You can make this next part however long you want if you have smaller or longer feet. Rnd 90: *[FPHDC in next 2 sts, BPHDC in next 2 sts] 8x, HDC in the rest of the sts around, sl st to beginning. Ch up 2. Rnd 101: SC in each st around. Add st marker to each side (watch Video tutorial to learn where exactly to place your stitch markers. Rnd 102: SC to first st marker [SC2TOG] 2x, SC to next st marker [SC2TOG] 2x, SC in the rest of the sts around. Rnds 103-107: Repeat Rnd 102 until you have 18 sts left. Fasten off with long tail. **Turn your work inside out, Sew toe part closed. Rnd 1: SC 20 in 2nd ch from hook, sl st to beginning sc. In Magic Ring, SC 20, Sl st to beginning sc. SC in 2nd ch from hook, HDC in next, DC in next 3 ch’s, HDC in next, SC in next, Sl st in next. Fasten off with long tail for sewing. Make as many leaves as you want. Sew leaves next to flower on sock. Like these socks? Try making the Harlequin Leg Warmers! It doesn’t take a lot of money to dress a baby up like a little fashionista! Just a hook, some yarn, and of course, some fur to make these trendy Booties with the Fur! The whole nursery will be lookin’ at her! Haha I crack myself up! (I hope you get this joke!) anyway, this is my version of mini infant Uggs. Make your princess a pair of these adorable booties today!! It’s perfect in time for the cooler season. These booties will dress up any outfit and will stun so many when they find out they were handmade!! The pattern shown in the video is a very simplistic pattern that you can make in an afternoon. This is not difficult at all! It would be great for any crocheter!! You can adapt this pattern to make these booties with or without fur. This is a pattern for ONLY 0-3 Months size. I do explain how to make these a tad bigger at the end of the video tutorial. Follow along with this video to learn how to make these adorable booties! -These booties will fit a newborn to 3 month old baby. The sole measurement will be 3.5 inches when finished. -These booties are the same pattern until you get to the cuff, then follow along for left bootie an right bootie. Row 3: HDC until you have 2 sts left, ch 1, sk 2nd to last st, hdc in last st, ch 1, turn. Row 4: HDC in first st, HDC in ch 1 space, HDC all the way around. Repeat rows 2-5 on the left bootie for the right bootie. Sew on button and weave in all loose ends. Boot cuffs are a great accessory to dress up not only a pair of boots but with jeans or a skirt, it is a great accent! This tutorial covers how to make a pair of simple chunky boot cuffs that are perfect for anyone! I used less than one skein of Lion Brand yarn (Super Bulky) with a N-9.00mm crochet hook. Feel free to use any chunky brand of yarn that is equivalent and it will work the same! I share how to make these using measurements so if you want to make them smaller for a child or a teen or bigger for a larger calf you can do so by adding or reducing Foundation Double Crochets on your first round. When people see these, they express how difficult they look to make, but honestly, these are so simple. It takes less than a couple hours to finish! These make great gifts for the holidays, birthdays, or any special occasion! They are fun to make and fun to wear! Follow along with this video to make your very own boot cuffs! This pattern was inspired by a free pattern I found online by Fiber Flux. I modified the pattern a little bit to make it more my own, but it is very close to this pattern. If you would like to get your own buttons from the shop Wood Be Fancy, click here. Here is the full 3-Piece Set complete with photos and videos. Click the photos to take you to each individual blog post. Recently I posted a video tutorial for the Ribbon and Bow hat. In continuation of the “bow-tastic” theme, I bring you another baby tutorial showing you how to crochet a pair of peep-toe baby sandals using inspiration from this pattern by Hut’s Crochet. I really liked her instructions on the bottoms and sides, but I adapted my own pattern for the top and bow. Here the video tutorial for the baby sandals/slippers. If you want to make your bow bigger or smaller, watch this video tutorial I filmed a while back to show you how! These cute sandals are the perfect accent to any infant outfit and go so well with the bow hat. It makes the perfect set to give as a gift! This is another quick and easy project, perfect for a beginner or any seasoned crocheter to accomplish in an afternoon! Without the bow, these would make cute little boy slippers as well. You can change things up and make a flower, add a button, or any other embellishment! Get creative, and have fun! In this video I share how to crochet baby shoes embellished with a button. This is not an original pattern, and I give FULL CREDIT to Repeat Crafter Me blogger. I will share HER pattern in the description of this video. Thank you for the free Pattern Stephanie! In this video, I demonstrate how to make two-toned booties. This is not an original pattern. I actually found these on Ravelry and HAD to make them! They are so cute! Share this video with your friends! Enjoy! In this video I demonstrate how to make the stylish boot cuffs that are in style right now! These are perfect gifts to give for any occasion! Embellish yours with buttons of your choice.